Since their mutual origin in Greece, philosophy and rhetoric have been in conflict with one another. This tenuous relationship, which has first been expressed in the polemic between Plato and the Sophists and which has recurred continuously in the history of thought, is not only constitutive for philosophy but defines its limits at the same time. The aim of this study is to elucidate a number of aspects in the conflict between rhetoric and philosophy during various periods in the history of thought. The status of reason, of language, of science and the subject are central to this conflict. One of the most important questions is therefore what actually happens when we talk and write. 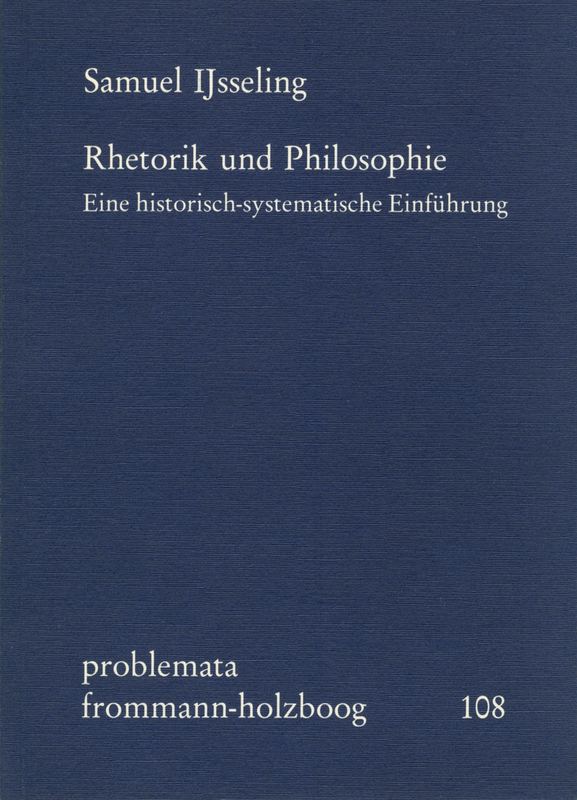 Klar gegliedert und verständlich formuliert vermittelt der Autor dem Leser Einblicke in die Entwicklung von Rhetorik und Philosophie während der letzten zwei Jahrtausende.